I read this article and found it very interesting, thought it might be something for you. 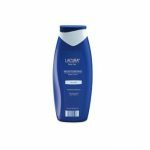 The article is called Lacura Body Care Moisturizing Body Lotion for Dry Skin Review and is located at https://homemademasks.net/beauty-blog/makeup-reviews/lacura-body-care-moisturizing-body-lotion-for-dry-skin-review/. Ok, so if you have really dry skin on your legs, like how I usually have, then this is the moisturizer for you! It comes in a really massive bottle of 500 ml and it only costs only £1.39! I purchased the one for dry skin (blue bottle) but they also have available for Normal (white bottle) and Anti-ageing skin (dark-red bottle). It contains Avocado Oil and vitamin E (pune link catre websiteul tau unde vezi vitamina e) which I really like because I am aware about the wonders that these two ingredients deliver to the skin. This is a good product, excellent value for money, and gives your skin a nice glow as it REALLY hydrates dry skin. My skin feels so soft and nourished each time I apply this lotion. The consistency is quite thick and I can immediately feel the hydrating effect. It doesn’t sink too fast into the skin though, but it doesn’t bother me as I appreciate the benefit I get from using this lotion. It leaves a nice glow to my skin and I just love how gorgeous it looks on my legs, shoulders, cleavage; it is just AMAZING for me. The smell is quite lovely and I would say it resembles a little with the scent Nivea has which is not bad at all.